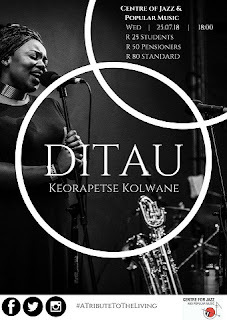 She also works well as a session vocalist and band member in various ensembles led by the likes of Concord Nkabinde, Viwe Mkhizwane, Nhlanhla Daniel Mahlangu, and other local acts. She has toured throughout Egypt Cairo, New York, Washington DC, Louisville, Orlando and Western Kentucky. Kolwane aspires mostly to influence young artists to dare to dream and pursue arts not only on a practical basis, but also educationally. She will be doing her honours in music performance and research at The University of Witwatersrand in 2018 and intends to continue furthering her music studies in the coming years. The body of work aims to give flowers to and honour the South African musicians she has had the honour of either working, collaborating, recording or performing with thus far in her career. Through song and reflection, she will pay tribute to individuals whom she believe have shed light, groomed her musicality and also allowed her the space and courage to find her own voice and tell her own story. 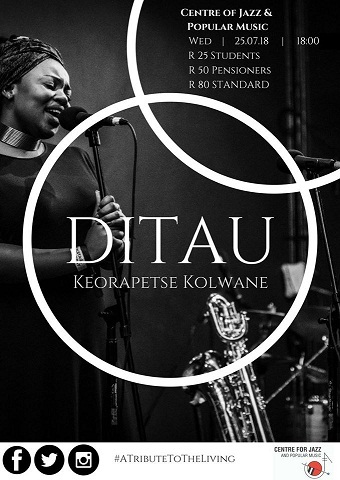 Tribute To The Living will comprise of a couple of her own unreleased compositions, which is a mixture of straight ahead jazz, fused with South African sounds and ethnic nuances that are evident in our daily lives.